After working on it for two years, the Structures shipyard in Combrit launched its new production boat on Thursday 11th September 2014. 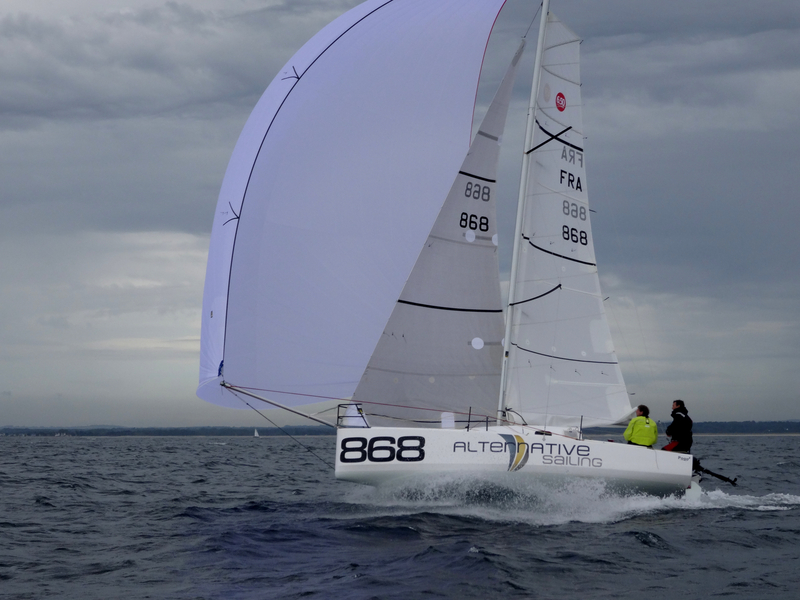 As the Nacira 6.50 won the first positions of the Mini Transat 2013 in production boat rankings, the Structures shipyard in Combrit Sainte-Marine launched its new model replacing the Pogo 2. With the Pogo 3, production boat designed by Guillaume Verdier, Christian Bouroullec wanted to give new impetus to production boat Mini building. Hervé Penfornis, the architect associated to Guillaume Verdier on this project, comments on this collaboration and explains how the Pogo 3 is different. What was the collaboration on this project like? This Pogo was a project we took up together. 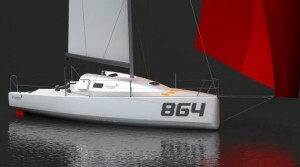 As for me, I looked after the 3D model of the boat and worked on the deck plan. Gwenolé Gahinet, architect and skipper, and Anatole Modai gave us their feedback at the beginning of the project, notably on the deck plan’s ergonomics. Before the project begun, we discussed deck geometry with the shipyard. Building criteria are very important. The deck construction principle and its assembly must not incur more production costs. What are the main differences with the other Mini production boats? 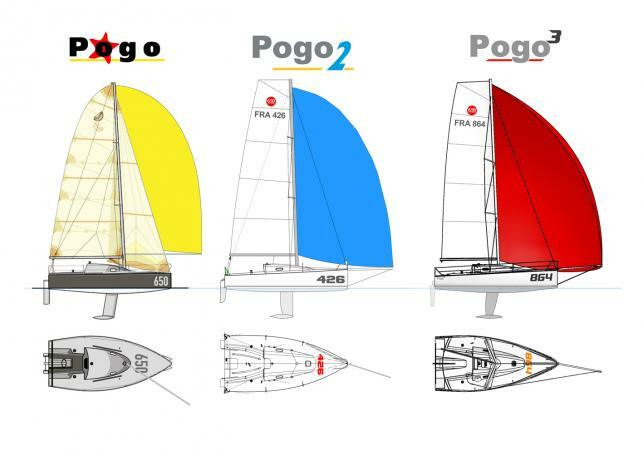 The reference boat is the Pogo 2. 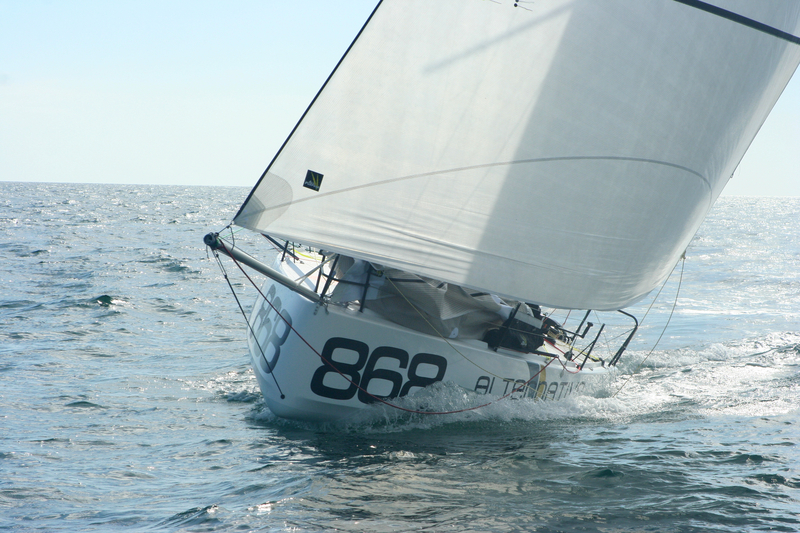 We worked on the roof to integrate all the rigging on the piano, while respecting the 6.50 production boat class standards. In the cockpit, the back bit is more open to enable stacking outside.